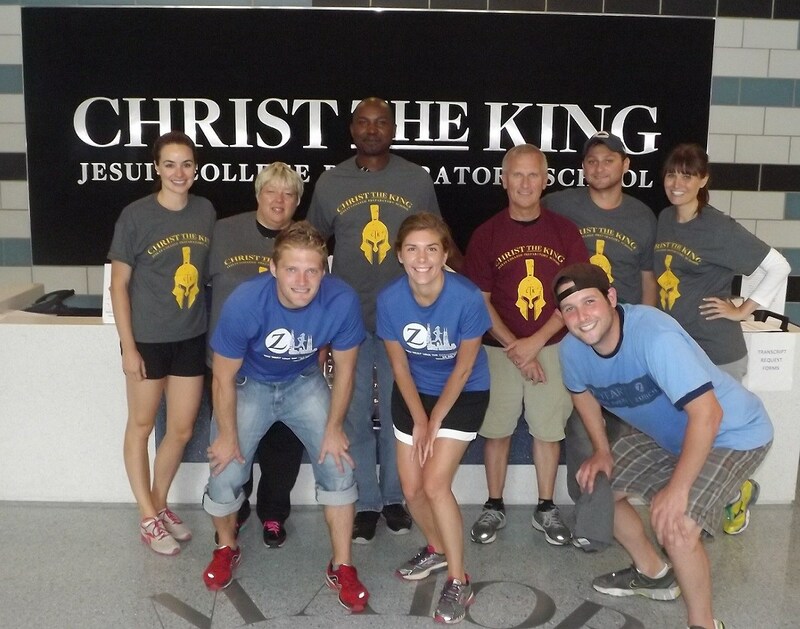 Thank you for your interest in volunteering at Christ the King Jesuit College Prep. With over 300 students, there are many ways you can volunteer to help CTK, whether it is judging a science fair, painting a classroom, teaching a class, supporting a club and tutoring or mentoring a student. Our needs change frequently and new opportunities are added regularly, so please feel free to check back periodically, or contact Ms. Maureen Kelly at mkelly@ctkjesuit.org to discuss your interests and talents so that we can contact you as relevant volunteer opportunities arise. Volunteer at CTK as a group! Occasionally groups such as Alumni or parent groups from other schools and churches will volunteer on a Saturday to help with tasks around the school, such as painting, cleaning or landscaping. We will work closely with you to develop a team project that meets your needs. Location: Academic Departments - 5088 W. Jackson Blvd. Location: CWSP - 5088 W. Jackson Blvd.